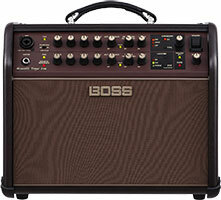 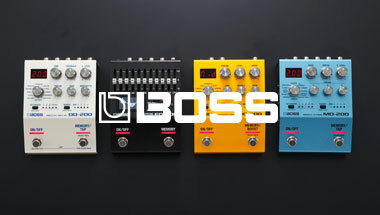 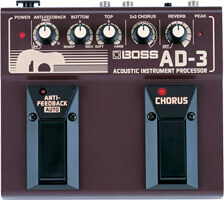 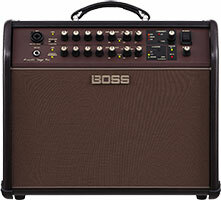 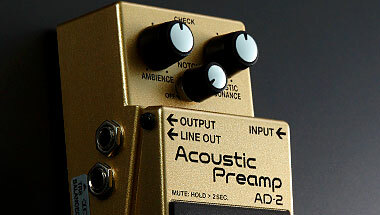 Pedals, amps, and all other equipment for your acoustic/acoustic-electric guitar. 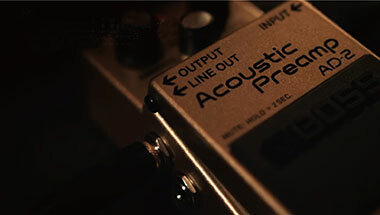 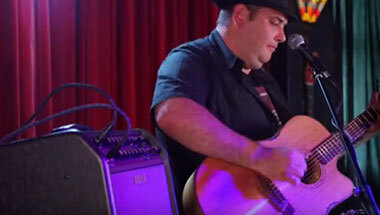 Compact pedal that transforms any electric guitar into a variety of beautiful acoustic guitars. 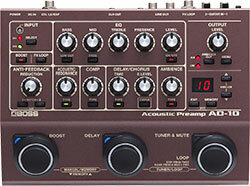 Floor-based preamp/effects processor designed for acoustic instruments. 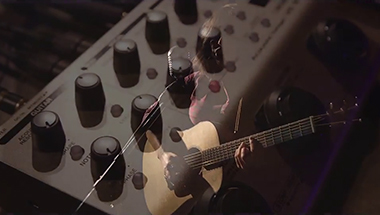 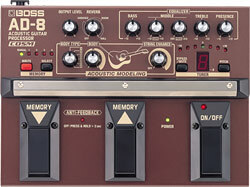 Floor-based acoustic guitar processor featuring COSM Acoustic Guitar Modeling technology. 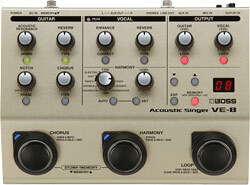 Compact, all-in-one preamp and effects solution for singers who play acoustic guitar.